High Tech Computer Corp, commonly known as HTC, is one of the top smartphone brands in the world. Even the iconic Nexus One had been developed by this company, for Google. Both Google and HTC have shared a very steady relationship since the birth of the Android platform. The HTC Dream, was in fact the first handset to feature this platform. Either companies have had a long line-up of HTC Android phones, following the Dream. While the phone maker still continues to roll out smartphones with Google’s OS, it has also partnered with Microsoft, to release phones sporting the new Windows Phone 7 platform. Currently, the yet-to-be-released HTC Desire HD (an Android 2.2 phone) and HTC Mozart (a Windows Phone 7 phone) are among the highly discussed devices on the cloud. 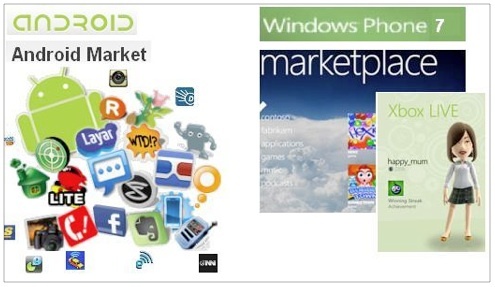 Android 2.2 is also called Froyo and Windows Phone 7 is conveniently referred to as WP7. Here’s a brief comparison between these devices based on aspects related to the mobile platforms. The Android 2.2 UI is icon based. Icons can be created for applications, contacts (for speed dial), tools, social networks and more. These icons can as well be arranged into folders for easy management and space saving on the screen. There are a total of 5 homescreen panels, which can be customised by the user to include all favourite or frequently used app-icons. The Windows Phone 7 UI (called Metro UI), on the other hand, presents what are known as hubs. These are tile-like units that cover the homescreen. Each tile represents a particular aspect of the phone. There are hubs called People (for contacts), Pictures, Games, Music+Video, Marketplace and Office. Hubs can also be created for third party applications, websites etc. These tiles give live updates. For example, a hub for emails, will show the number of unread mails on it. The user can add, remove and re-arrange these tiles according to convenience. One thing to be noted here is that, the user has the privilege to add any number of hubs as he wants. These get added length-wise only (and not sideways). Hence the homepage can get infinitely long, if there are too many hubs. This can make it pretty tedious for the user to scroll and access a tile that’s located way down on the page. Homescreen appearance-wise, the Mozart may take the cake. But, when it comes to quick access of apps, the Desire HD might be the winner. HTC offers a feature called HTC Sense, which provides additional functionality to enhance the user experience. These are simple yet helpful additions, like, being able to see Facebook status and birthday of the person who is contacting you, quick loading maps that help you explore places, finding your misplaced phone, zooming-in on a webpage with the text re-flowing itself for convenient reading, tapping and holding a word to find more about it on Google or Wikipedia or YouTube etc. The HTC Desire HD is already a host to this UI. 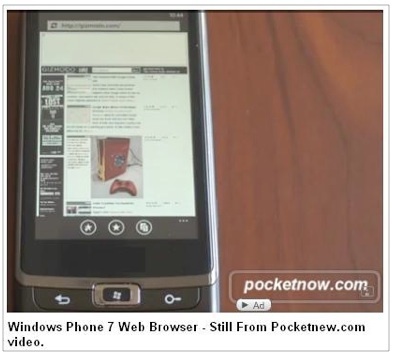 A recent news report mentioned that the company is working to bring this interface to the Windows Phone 7 phone too. Hence either of the phones score equal in this regard. Either of the platforms offer multi-touch capability. While the Android platform has had a good track record for offering some of the best touch sensitive phones, Microsoft has had a poor one. 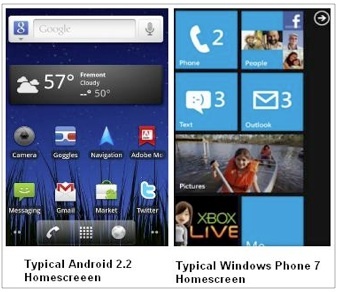 The earlier mobile platforms from Microsoft (Windows Mobile series), are not really touch-friendly. However, many of the people who have tested the Windows Phone 7 are swept away by its ability to quickly respond to touches. This new platform is supposed to be designed from scratch, keeping the touch feature at the core. Hence the Android platform can expect some competition with respect to touch sensitivity. The HTC Mozart specifications had recently got leaked on the web. Based on these rumours, this smartphone is supposed to have a 3.7-inch Super LCD screen, a 1GHz processor, 8GB in-house storage, an 8MP camera with xenon flash, Dolby Mobile with SRS sound, and the regulars, like WiFi, Bluetooth etc. A-GPS and 3G connectivity are also expected to be supported. According to the hardware requirements of Windows Phone 7, there cannot be a user replaceable memory card. Even tethering support (using the mobile phone as a modem to access internet on other devices) on the WP7 phone is a big question mark as of now. 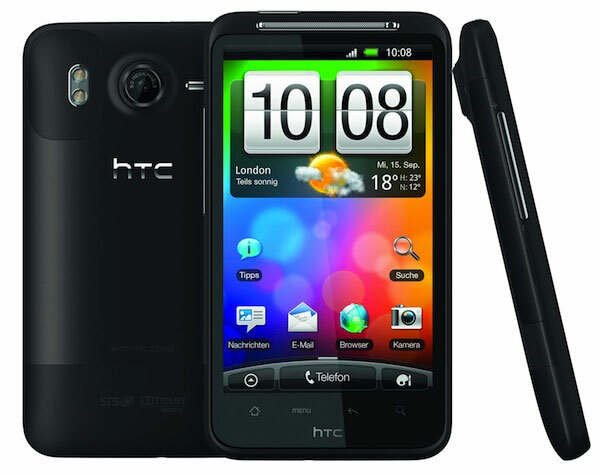 The HTC Desire HD is slightly larger in size, with a 4.3-inch screen. Other specs include a 1GHz processor, 1.5GB of internal storage along with microSD card support, an 8MP camera with dual LED flash, Dolby Mobile with SRS sound, Bluetooth, WiFi, tethering, 3G and A-GPS. The lack of microSD card and tethering support can put the Mozart at a disadvantage. Both phones will be able to multi-task. However, one cannot expect this to be like the multitasking on a computer or PC, which has a powerful dual or quad core processor and a capacious (even 8GB) RAM. Being much smaller in size, mobile phones have limitations on the components they can house within. Hence their abilities, like multitasking, are limited as well. Many smartphones do offer multi-tasking, but in a different way. Unlike laptops and PCs, they allow only certain apps to run in the background, when another app is active in the foreground (being currently used by the user). If they allow all apps to run in the background, then these apps will drain the battery of the device very quickly. When the user switches from one app (say A) to another (say B), app A is temporarily paused in the background. It will still be present in the RAM, but in a frozen state. When switched back to app A, it resumes from where it had been paused. If the user starts many apps at the same time, the same logic applies. The apps in the background are paused. In case the device starts running out of memory, then certain apps (most probably, the ones that have not been switched to, for a long time) are suspended. This means that, the current state of the app is saved, and the app itself is killed. So it does not occupy space in the RAM. When the user switches to any suspended app, its state is retrieved and restored, and so to the user it seems like he has resumed from where he had left it. However, there are certain apps that require to run, even when they are in the background, like downloading or uploading of files. In such cases, Android offers something called ‘service’. Any app that wishes to continue running in the background must have a service. This service does all the functions that the app does, but it will not have a user interface. Hence it works in the background. The service and the app follow a client-server model. Google allows the third party app developers to create apps with such an architecture. Hence there are several apps that can multi-task. However, as aforementioned, this can take a toll on battery life. Multi-tasking on WP7 is supposed to be almost similar, with a few minor changes in the way background processing is handled. Here again, apps in the background are paused, or suspended to free up RAM. Microsoft is reportedly going to allow background processing for only certain tasks like music playback, downloading a file etc. It is said that third party apps will not be able to run in the background. They can only be paused or suspended. While this may not sound really good at first go, it can really help conserve plenty of juice. Microsoft will be launching an applications store called Marketplace, where users will be able to get a variety of apps, tools etc. for download. This is supposed to be similar to the Android Market. However, the latter has an edge over the former, as it is more older and already has loads of apps and games in it. One big plus point for WP7 is the integration with Xbox Live. Windows Phone 7 phones, and hence the Mozart, will allow playing Xbox LIVE games on them. A whole set of games are specially being developed for WP7 mobile phones. View all open tabs as small thumbnails on the screen, to enable switching between them. Also a 3-dot-button appears on the bottom right corner of the screen, which gives options for sharing the page, finding text on the page, pinning the page to the start (creating a hub) and accessing settings. Regarding Adobe Flash and HTML 5, it’s a big question mark whether these will be supported or not. One of the new enhancements the Froyo browser brings is speed. It is much faster than the Android 2.1 browser. 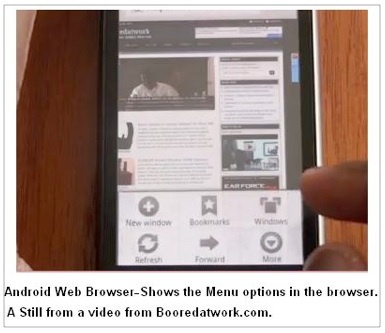 Google has even claimed that this is the fastest mobile browser available today. Some test videos show that they are partially right. The Android 2.2 browser is definitely fast, but, when there is Flash content on the page, it tends to load a bit slowly and scrolling becomes quite choppy. But when there are no Flash videos on the page, the browser is very fast. Android is already one of the top mobile platforms available today. Windows Phone 7, on the other hand, is new to the market. But it definitely looks like a huge improvement from its predecessors. It seems quite promising too. However, it is not totally perfect yet. Hence, there still is scope for improvement. About the guest author: This post has been compiled by Trinity Nick from the UK. Being a content writer and a techno-geek, she enjoys reviewing best mobile phones and laptops that are released in the UK market. This is a must have phone for me. I really want and like to have this one at my gadgets gallery. Looks really awesome. I think many Mac/iPhone people (myself included) are seeing WP7 as the first interesting and truly original thing to come out of Redmond in years, and a serious temptation when upgrade time comes around. I am looking forward to getting my hands on a wp7 handset. I seriously consider wp7 a threat to Android and Blackberry. Time will release the results. I’m waiting for either the iPhone 5, or some killer Blackberry (first choice) or some further evolved Android. In the mean time, I’ll replace my Curve with the Curve 3G. I get an upgrade on my phone next month and have been checking out the androids. I think this is the first post that has made me really want a certain brand. I would choose the HTC Mozart over the HTC Desire HD. It has just the right screen real estate, yet powerful enough for most applications. Love the WP7 OS. I am trying to buy the Mozart mobile with Orange for this christmas. Thank you for this review! Vote for Desire HD. Android device with great hardware and tons of applications support. Slowly but surely, HTC is gaining market share. I tried out the HTC Mozart at a tech show and the ease of navigation and design were pretty cool. But I am not ready to convert from Apple to HTC fan just yet. Well, I have not yet tried, but I am great fan of HTC phones. The looks, functions are awesome. No doubt, I am gonna have one of HTC releases as my next phone. Thanks for the information. But, I think Android rules the market.